Less than a year after deciding Strasbourg was my new favourite French spot, I’ve already lost my heart to Annecy. It must be something about the canals as both places are set around a network of waterways. But as well as a perfectly preserved old town with gorgeous historic buildings and cafés, Annecy also throws in a turquoise lake and stunning mountain scenery. 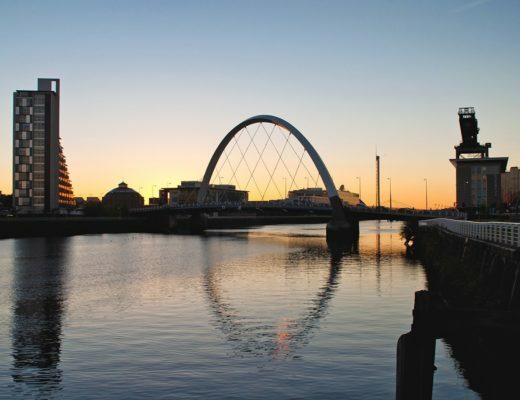 It’s not somewhere with a lot of famous sights, but rather somewhere perfect for a bit of aimless wandering, eating and drinking. 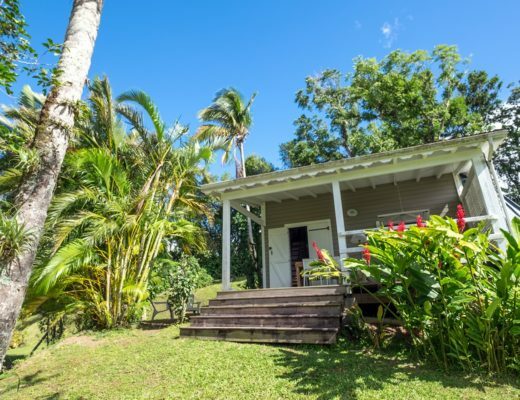 The town’s compact size means you can easily spend a few hours exploring and then relax for the afternoon on the lakeside beach or in one of the waterside restaurants. 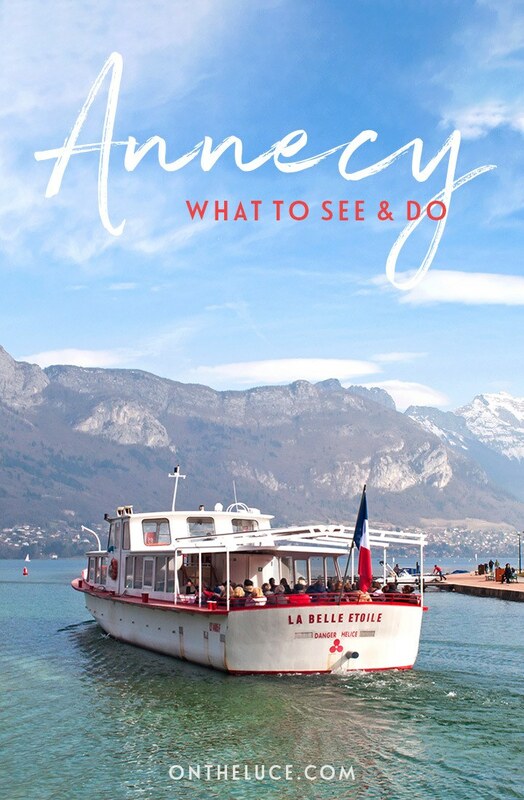 So here are some of my favourite things to do in Annecy. 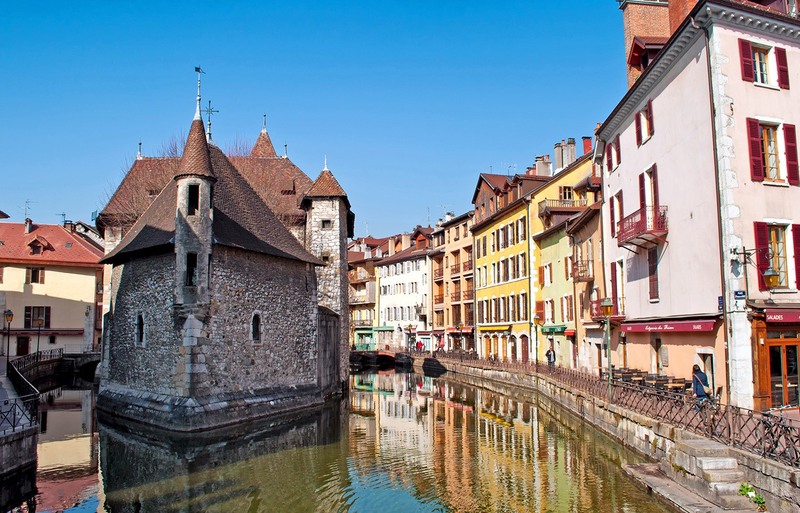 Annecy’s old town – the Vieille Ville – has more waterways than roads, surrounded by pretty, pastel-coloured buildings. The water comes from the River Thiou, which at only 3.5km long is one of Europe’s shortest rivers, connecting the River Fier to Lake Annecy. But what it lacks in length it makes up for in scenic surroundings. The river splits and rejoins around the old town, creating islands linked by arched bridges, draped in flowers during spring and summer. 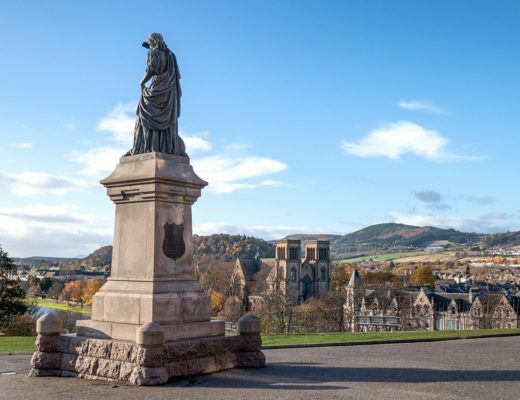 A network of narrow streets and passages take you past turreted castles, quirky shops and a seemingly endless number of gelateria where you can get your ice cream fix. There are also plenty of cafés and restaurants, most of which have tables lined up along the riverbank to soak up the sunshine. It’s somewhere to go wandering, get lost and see what you discover. Built on a hilltop, the Château d’Annecy towers over the town, so you’ll burn off that gelato on the climb up to the top. 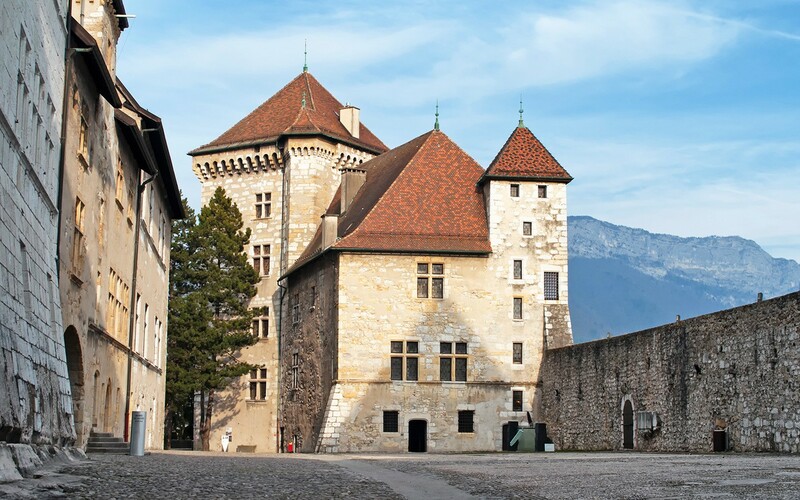 The castle was built as a residence for the Counts of Geneva and the Dukes of Genevois-Nemours from the 13th to 16th centuries, but it was later damaged by fire and abandoned in the 17th century. Later it was turned into a barracks before being bought by the town after the Second World War and restored back to its former glory. Now it’s used as a museum with a couple of different sections – one with local furniture, sculptures and art, and the other with exhibits about the people and wildlife living around the lake (entry €5.50 for adults, €3 for under 25s and free for under 12s). Don’t miss the castle’s terrace for a fantastic panoramic view down into the old town and across the lake. France’s third largest lake, Lake Annecy is known as the blue lake, and you can definitely see why when the sun hits its clear water. It’s Europe’s cleanest lake (though I probably wouldn’t advise drinking it) with the water coming from snow melting in the Alps. There are walking and cycling paths along the edge of the lake, as well as sandy beaches in the summer. One of the best ways to see the lake is to get out on the water. Between February and December, a one-hour boat trip takes you on a circuit around the lake, past pretty lakeside villages and an island castle, backed with snowy mountain peaks (€14.20 for adults and €9.60 for children aged 5–12). 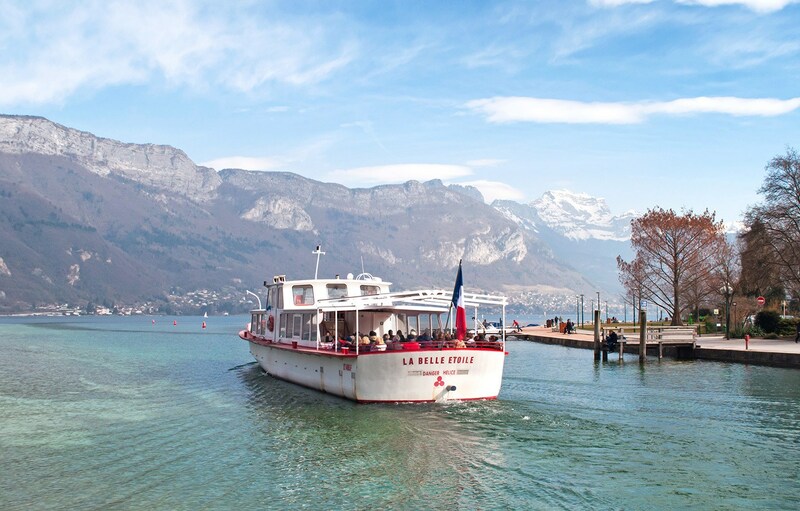 From spring to autumn there are also longer two-hour cruises and a shuttle between the lakeside villages, as well as lunch and dinner cruises onboard the MS Libellule. There’s something special about French markets, with their huge piles of colourful vegetables and pungent smelling cheeses. 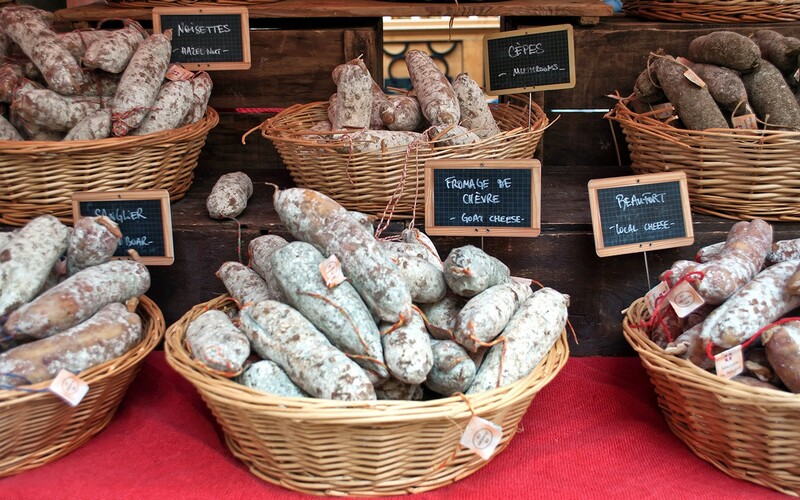 And Annecy’s market has one of the best locations, stretching along the bridges and narrow streets of the old town. 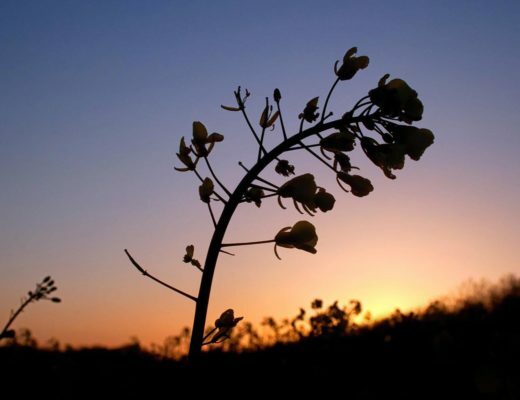 Markets are held on Tuesdays, Fridays and Sundays from 7am–1pm, selling fresh local produce from fish to flowers. 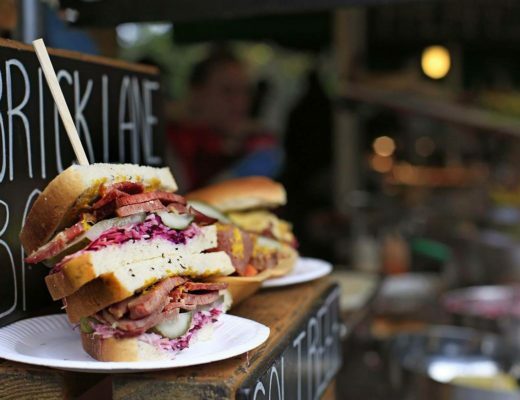 You can check out the local specialities, and if you want to buy the stallholders will often let you have a taste first. Well worth trying are the tasty salami-style sausages which are made with flavours like mushroom, goats’ cheese and hazelnut. And the creamy reblochon cheese, which is used in mountain dishes like tartiflette. If you’re in town on the last Saturday of the month, there’s also a big arts, crafts and flea market which runs from around 8am–5pm. Right at the heart of Annecy’s old city is the Palais de l’Île – the town’s most famous and photographed building. It was built back in the 12th century on a triangular island that lies between two forks of the river. It looks like a miniature fairytale castle but it has actually been used as a mint, a courthouse and a prison over the years. Today the Palais is home to a small museum with exhibits about local history and architecture, but it’s best appreciated from the outside. Take a walk through the old town at night too when you can see it all lit up. Lights in the canals shine upwards and the turrets at the front of the Palais are lit from inside so the whole place glows in the dark. 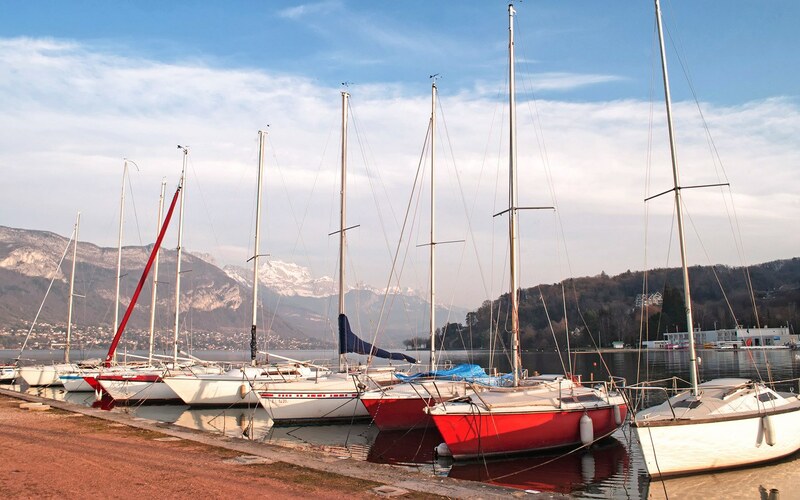 There are enough things to do in Annecy to keep you busy for a weekend. But if you’ve got more time then the town is surrounded by some spectacular mountain scenery that’s easy to access. 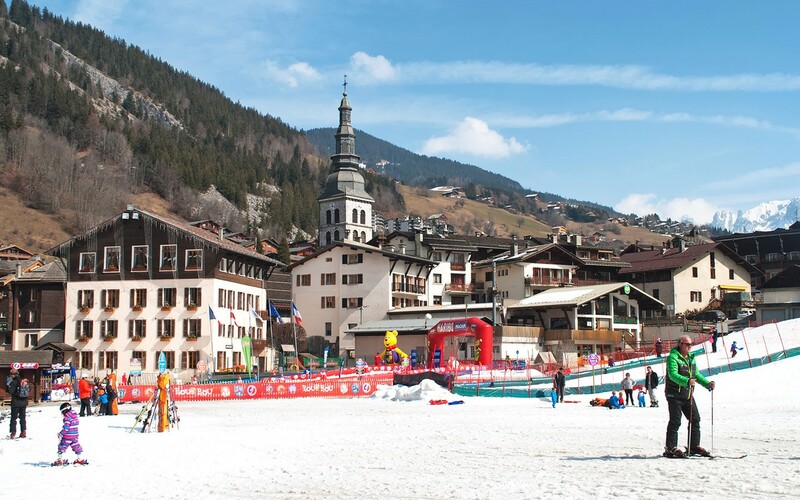 The Aravis mountain range is around 40 minutes’ drive away and is home to four ski resorts – La Clusaz, Le Grand Bornand, Manigod and Saint Jean de Sixt. Buses connect Annecy with the main ski resorts or you can hire a car for the day and go exploring. Visit the pretty Savoyard village of La Clusaz or head on up the zig-zagging road to the Col des Aravis mountain pass for stunning views across to Mont Blanc. In winter you can go snowshoeing or take a husky ride, or in summer it’s popular with cyclists, but you need to be fit – the pass has route of the Tour de France several times. There are also a couple of restaurants serving mountain specialities and a tiny chapel dedicated to St Anne, protector of travellers. Looking for somewhere to stay in Annecy? Thanks Wilbur, that’s great to hear – and sure you won’t be disappointed! I didn’t have chance to do the Alsace Wine Route last year in Strasbourg but am hoping to go and visit that area soon (next year if not this one), looks beautiful and I can’t resist a good drop of wine. Very nice Luce. I am fond of the canals lined up with cafes. Your post also reminds me of the flee market in Luton. Now, I know know another place. Tnx. I love the canalside cafes too, so nice to sit and have a drink in the sunshine and listen to the water flowing by. Gorgeous Lucy! Great photos, I’ve had friends rave about Annecy and this post supports everything I’ve heard! I love a good hike up a hill to a castle or fort and then a mooch around a market: yes, Annecy is the place for me! Thanks Rachel, it definitely sounds like your sort of place then! I really loved that it had a few things to do but not so much that you felt like you had to be sightseeing all the time and could relax and be lazy too! I was lucky to pass through Annecy once and always meant to go back. You have reminded me. Hope you do get to make the return trip one day! Me too, I think it’s partly as they usually have less cars and more outdoor space to sit in. Hope you get to visit one day! The lakes seems so magical, with the snow-covered Alps in the background. Oh and how pretty the pathway in Annecy’s old town looks — I really love that dead tree, strangling all the iron railing of those waterfront houses. Funnily enough there were guys up on ladders trimming that tree back the day before I took the photo! It is such a lovely setting having the lake and mountains all around you as well as the prettiness of the town. haha I’m super fickle traveller as well…am truly hoping that I will get to Strasbourg and Annecy this year thanks to reading your blog posts as they both look super beautiful and I’m a sucker for a good castle! Glad it’s not just me! Did love both Strasbourg and Annecy though, such a nice relaxed feel to both of them and so pretty. Love Annecy – such an adorable town! I didn’t make it up to the castle when I was there though; I guess it’s a good reason to return! Definitely, the views from up there are great and the exhibition was actually pretty interesting (though a bit of a weird mixture!). Beautiful! I didn’t know about this town. Strasbourg is really pretty but now I have to check this out! It’s not as well known as Strasbourg but just as beautiful, and really good in summer as you have the lake to cool off in! Aaaah, gorgeous! The canals and buildings remind me of Colmar, but there’s no lake in Colmar! 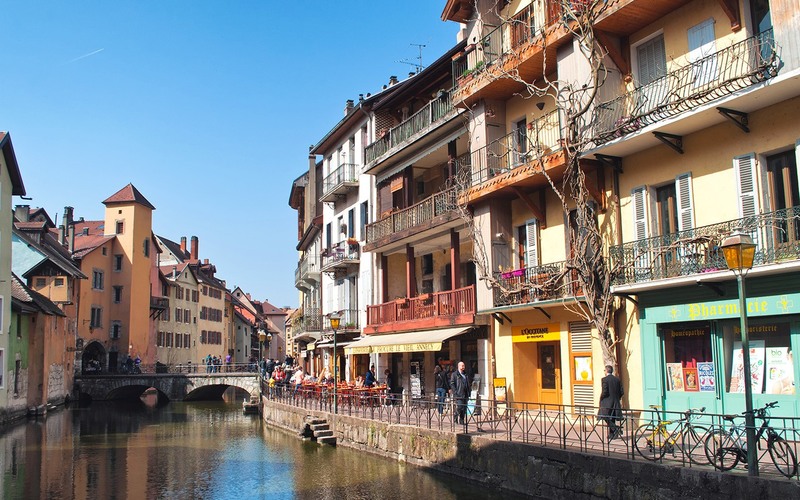 Colmar is one I must go and visit soon – sure I’m going to love it too! It was gorgeous. I’m a big fan of the half lazing/half exploring trip, though you’ve got to pick a pretty small destination so you don’t feel like you’re missing out! Thank you for this gorgeous tour. Annecy looks and sounds like a slice of Paradise. Thanks, I think the time of year really helped too – it was so pretty in spring and not too many crowds yet! You’re welcome, hope you get to make the trip there one day! I love Annecy, this is so wonderful to see! Love the photos! Thanks, it’s such a photogenic spot, I went totally mad with the camera! I don’t imagine it’s changed too much in 26 years! Still so pretty, and definitely doable for a weekend from the UK. I want to visit it soon, looks the exact kind of town I love to explore! Thank you – yes it definitely captured my heart! Would love to see it in winter, covered in snow sometime too. It must certainly be beautiful during the winter! 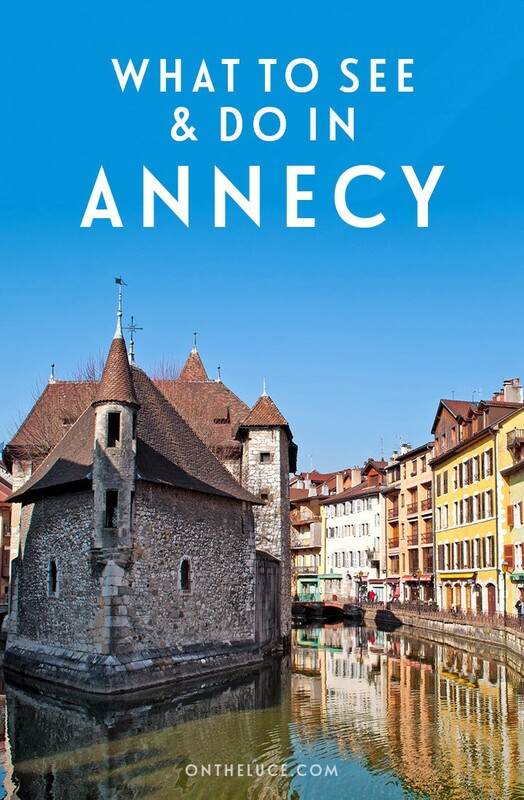 I can’t believe I lived so close to Annecy and never went there! Love this!!!!! 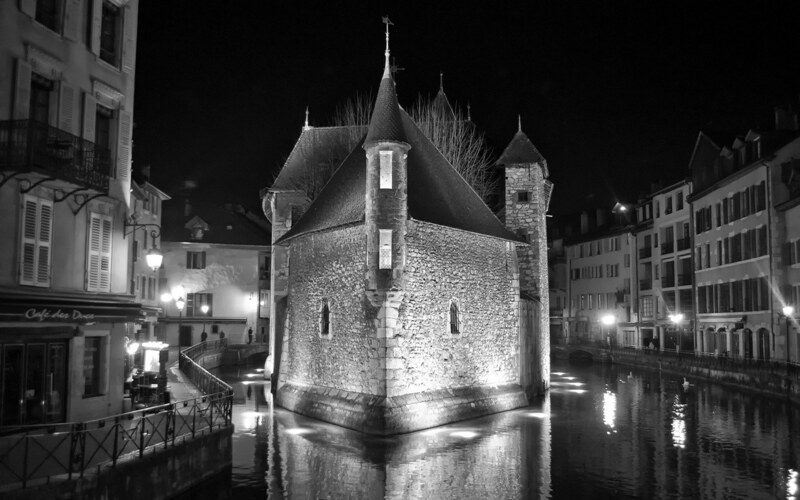 Annecy is one of my favorite towns…..beautiful photos! I can definitely see why, I loved it out there and will be back for sure! I discovered Annecy last year and I love this city. The lake and the landscape are so peacefull ! Such a beautiful place isn’t it! I’m new to your blog and loving it. Photos are beautiful too. As an Aussi travel tragic I envy you having such diversity on your doorstep that is so accessible. Thanks so much. Yes we are so lucky to have such a range of places so close to the UK – though I spent a year in Australia and you have some stunning spots too! Thanks so much, really glad you found it useful and hope you enjoy Annecy, it’s still one of my favourite places in France! Annecy is one of my favorite places to visit! I will also add parasailing to the list, it’s beautiful sailing above the shimmering waters of the lake ! Sounds amazing – one to try next time! Visiting annecy for 3 days coming up shortly, from what I’ve read and the pictures I’ve seen it looks fabulous.. 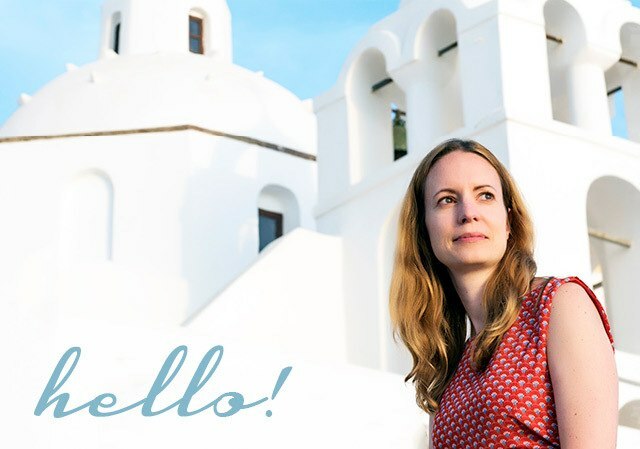 Such a lovely place – hope you have a great trip! Love it! 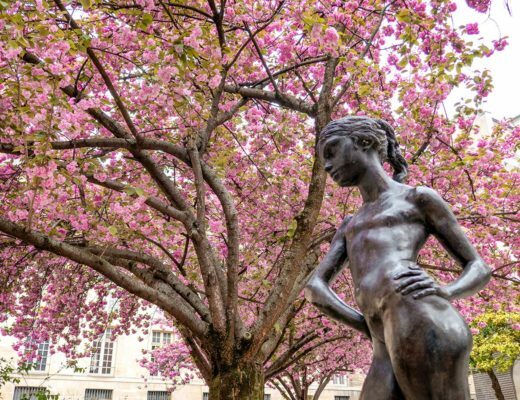 I went here several times during my semester abroad in Grenoble back in 2012, and now photos of this gorgeous place are all over Instagram! I’m glad it’s getting the appreciation it deserves but I loved that it was France’s best kept secret too. Totally agree with all of these things to do! The scenery of this Alpine town is perfect! It’s so lovely isn’t it! Definitely getting popular now though so I hope it doesn’t spoil the charm.